Motor Trend has named the 2018 Honda CR-V its “2018 SUV of the Year,” placing the fifth-generation SUV ahead of 23 contenders in one of the market’s most competitive segments. It was evaluated by nearly a dozen of Motor Trend‘s top editors, writers, and testers. Having sold more than 4.2 million units since it was introduced in the United States in 1997, the CR-V is the best-selling SUV in America for the past 20 years. It’s clear the CR-V hasn’t flown under anyone’s radar, but it’s nice for it to get recognition from major publications as well. The last time the popular Honda vehicle received the honor was in 2015, when it had just received a major refresh in its fourth generation. To be eligible for the award, a vehicle must be either “all-new” or “substantially upgraded” and have been on sale within 12 months of the previous November. 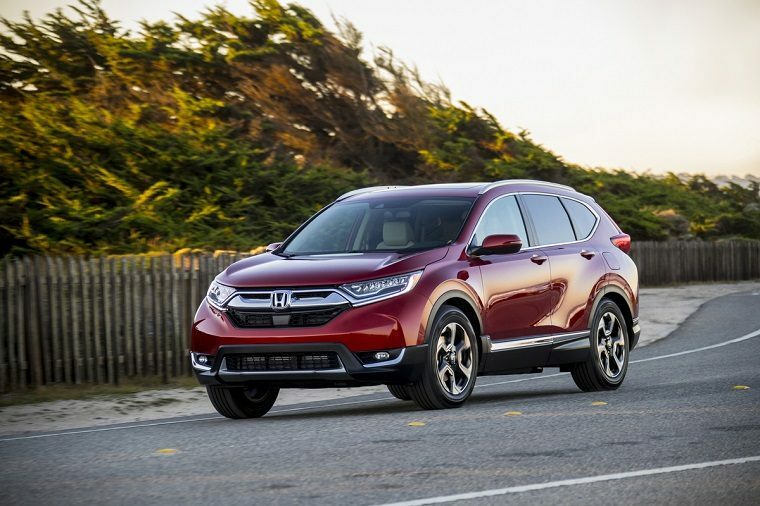 Motor Trend selected the CR-V for putting together a better package than any of the other manufacturers, praising Honda for paying attention to all of the right details—including passive and active safety features, efficiency, value, engineering excellence, performance, and advanced design. It even called its interior the “swankiest” it had ever seen. This is just one of the many awards the CR-V has already received this year. It was also named the “Best Overall Buy” by Kelley Blue Book, the “2017 Best New Car for Teens” by U.S. News & World Report, and a “Must Test Drive” by Autotrader.